Since the Financial Crisis in 2008 Germany has performed economically far better than most of its neighbouring countries. What makes Germany so special that nobel prize winner Paul Krugman called it a German miracle and is this sustainable? Is it its strong economic and political institutions, in particular trade unions, which by international comparison are a solid rock in turbulent waters, its vocational training which guarantees high skilled labour and low youth unemployment, its social partnership agreements which showed large flexibility of working time arrangements during the crisis and turned the rock into a bamboo flexibly bending once the rough wind of globalization was blowing? Or was it simply luck, booming exports to China and the East, a shrinking population, or worse so, a demolition of the German welfare state? All along from miracle to fate to shame of the German model: Is there such a thing like a core of Germany? The debate on the German model is controversial within Germany. 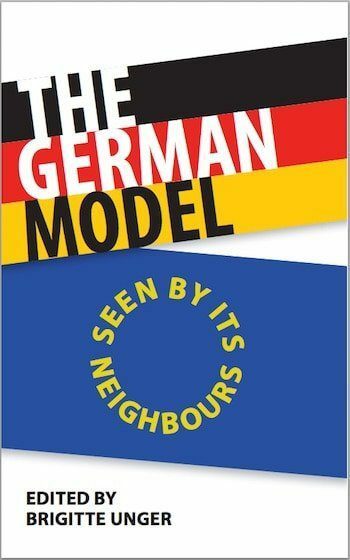 But what do neighbours think about Germany? The Nordic countries want to copy German labour market institutions. The Western countries admire it for its high flexibility within stable institutions, the Austrians have a similar model but question Germany’s welfare arrangements and growth capacities. Many Eastern European countries are relatively silent about the German model. There is admiration for the German economic success, but at the same time not so much for its institutions and certainly not for its restrictive migration policy. The Southern countries see it as a preposterous pain to Europe by shaping EU policy a la Germany and forcing austerity policy at the cost of its neighbours. Can the German model be copied? And what do neighbours recommend Germany to do? This book provides answers.